1. Open resource panel from the top of the Scrum Board. Drag and Drop resource on task to assign it to Task. 2. 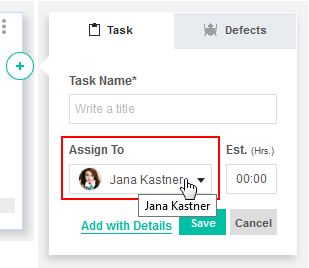 Edit Task and assign resource to task using Assign To field.